It is a Digital Platform for Free Online Education. 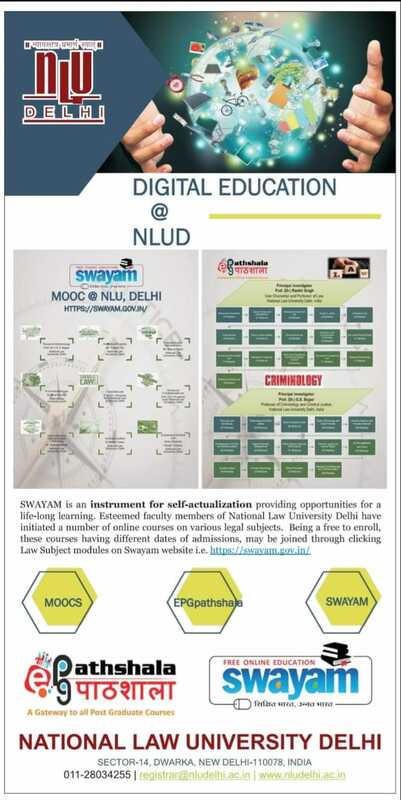 NLU Delhi have initiated more than 09 online courses on various legal aspects. As of now, more than 5000 learners enrolled.